Life is a recipe for love. When it rains, umbrella blocks the rain. When it is sunny, this umbrella showers you with colors. Miracle is the most natural thing. Life is a recipe for love. We are all chefs. We cook our food as well as our lives. Let everything be filled with love and light. Columbus Circle is built in 1905 and as part of Central Park. It is the southwestern entrance to the park and New York City’s media and entertainment center. During the holiday season, a cute market is set up here, and it looks like a delicate little town inside a magnificent big city. Shopping in the big malls is dazzling to the eyes, while wandering through small markets is warming to the hearts. There are many ways to enjoy New York City, one of which is to look up. 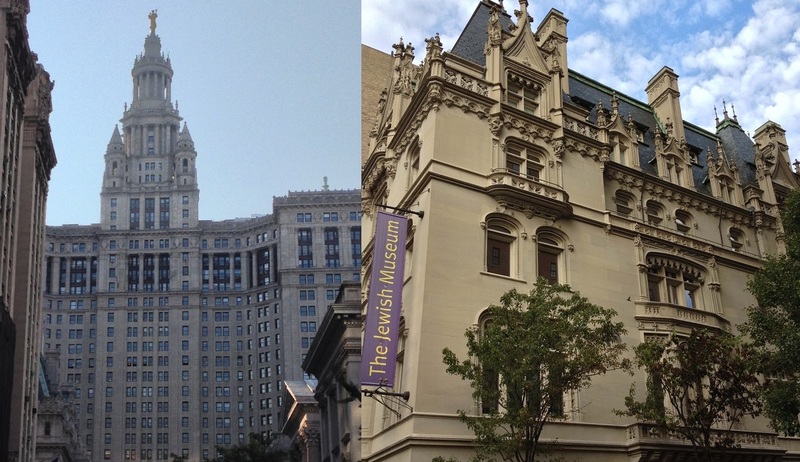 New York has many beautiful historic buildings, but it is easy to miss them while shuffling through shops and restaurants, going in and out of the subway station. We could bury ourselves among the busy traffic and confused crowd, or look up and find unexpected treasures extending up to the sky. Van Cortlandt Park, established in 1888, is the fourth largest park in New York City. It includes a horseback riding school, as well as the nation’s first public golf course. Van Cortlandt House, built in 1748, is the oldest building in Bronx. 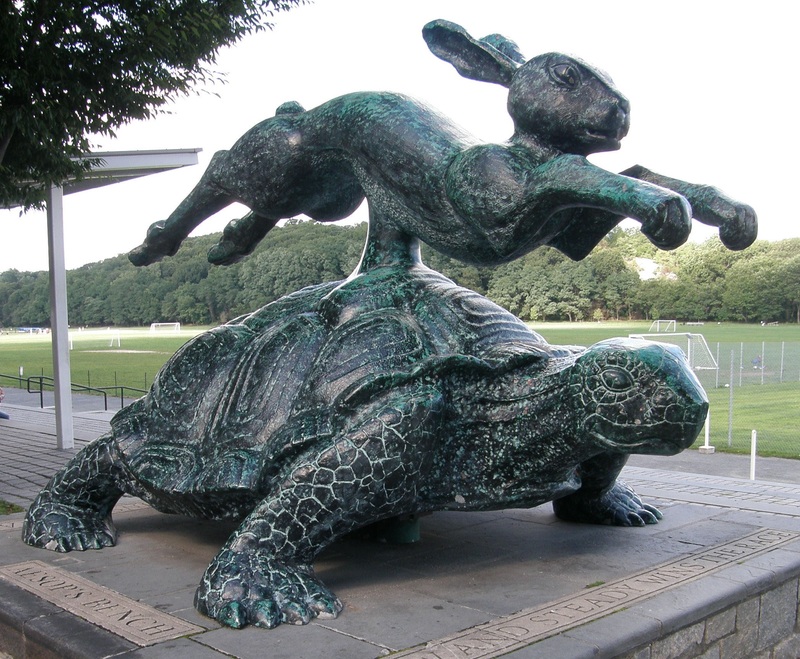 “The Tortoise and the Hare” theme is visible everywhere in and around the park, and the park is a popular location for cross country running. 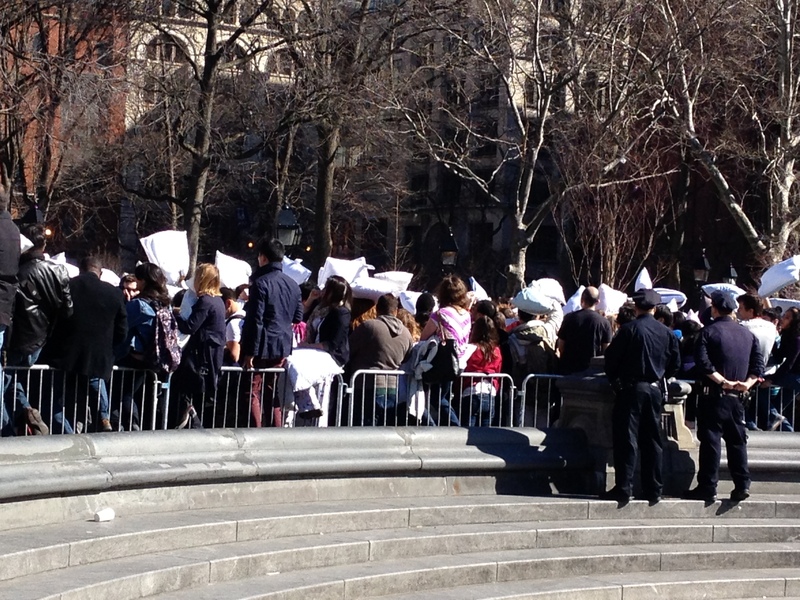 On International Pillow Fight Day, Washington Square turns into a huge bedroom, packed by children of all ages. No parent or teacher could stop you from playing this game. If you have never played pillow fight during your childhood, you can certainly catch up now. After the game, you could donate your pillow to the homeless. Wandering through the streets of New York City is like browsing through a gigantic museum, while staying connected with everyone in the city. The odd arts on the streets of the city could bring us joy, surprise or something to contemplate on. 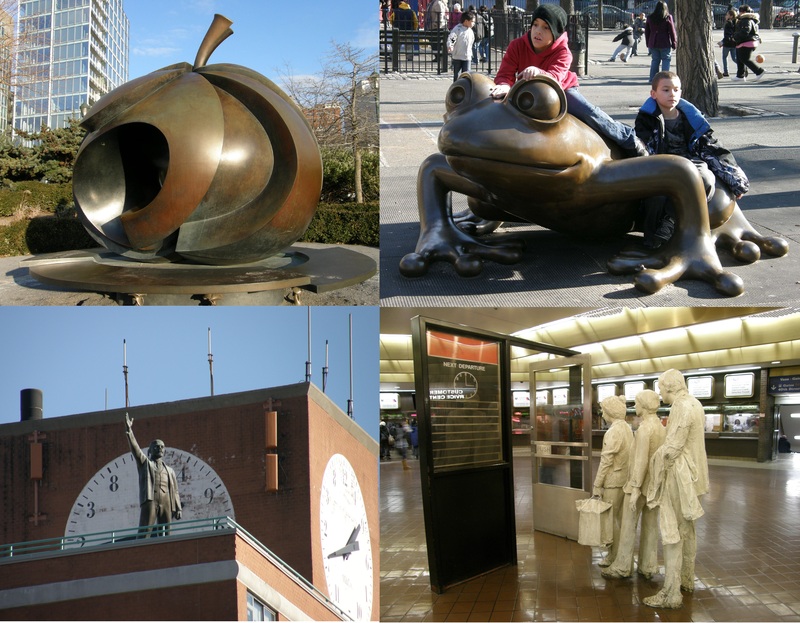 The Apple in Hudson River Park, The Coqui in PS 20, Lenin’s Statue on Red Square Apartments, and the Commuters in Port Authority Bus Terminal, are just few of the things that tell the stories of the city and its people. 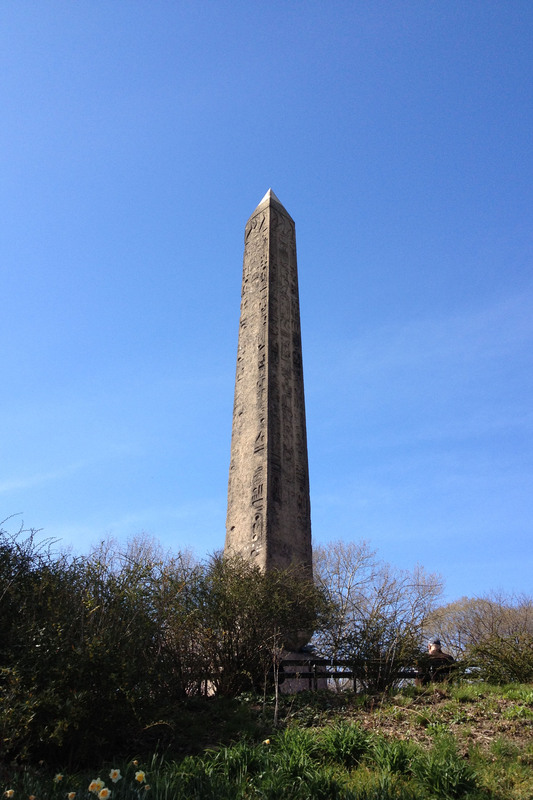 There is a obelisk in Central Park just behind the Metropolitan Museum of Art. The obelisk, called “Cleopatra’s Needle,” came from Egypt and is much older than most of the artifacts collected by the museum. It is also the oldest artifact in Central Park and free for all to see.